Grocery Outlet Bargain Market will open a new store in Colville in early December. Jason and Kim Craig are the owners of the franchise, which has more than 280 locations in six states, including Washington, Idaho and Oregon. Grocery Outlet, based in Emeryville, California, was founded in 1946. Company officials describe it as an “extreme value” grocer, offering deals on brand name items. The stores carry a full range of grocery items, including produce, meat, deli, dairy and organic products. They also sell beer and wine, and health care and beauty products. The 21,000-square-foot Colville store will employ about 30 people. It is at 980 S. Main St. 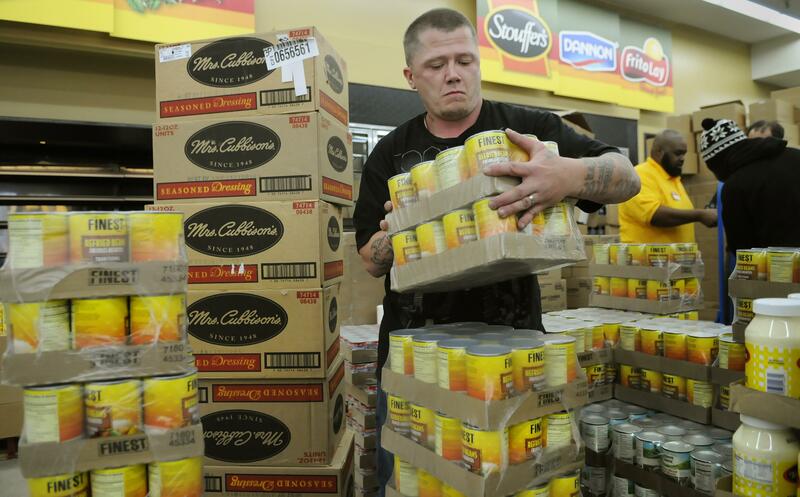 The Colville store is having a “soft opening” at 7 a.m. Dec. 7, Jason Craig said. A catered lunch is available that day while supplies last for shoppers who spend at least $10. The store will celebrate its grand opening from 7 a.m.-9 p.m. Dec. 9. There will be drawings and coupons for customers, and the store also will make a donation to the local food bank. The Craigs recently moved to Colville. They previously owned the Grocery Outlet store in Fresno, California. The couple enjoys the outdoors and wanted to live in a small town, Jason Craig said. Published: Nov. 29, 2017, 6:39 p.m. Updated: Nov. 29, 2017, 6:58 p.m.